BATON ROUGE—Jan. 28, 2019—The Boys & Girls Club of Greater Baton Rouge announced Marci Bradley as the new Director of Development. The Director of Development, a member of the Club’s five-member senior leadership team, is responsible for coordinating the organization’s fundraising and marketing activities. Prior to Boys & Girls Club, Ms. Bradley helped raise funds and awareness for several local Baton Rouge organizations. She also spent time in Charlotte, NC working with an international organization to end child trafficking and exploitation. 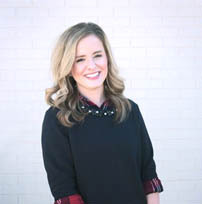 Ms. Bradley holds a bachelor’s degree in business marketing from Southeastern Louisiana University, a Master of Art in Philanthropy and Development from St. Mary’s University of Minnesota, and is a graduate of the Baton Rouge Area Foundation’s Development Fellows program. In her free time, Ms. Bradley enjoys running, going on adventures with her husband, Jonathan, and her dog, Hazel, and cooking up new recipes in the kitchen. She’s also an active volunteer in her community whenever possible. Ms. Bradley is very passionate about serving others, which is why she has dedicated her entire career to philanthropy. With a focus of enabling all young people—especially those who need us most—to reach their full potential as productive, caring, responsible citizens, the Club enriches the lives of boys and girls whom other youth agencies have failed to reach. The Boys & Girls Club of Greater Baton Rouge is dedicated to ensuring that our community’s disadvantaged youth have greater access to quality programs and services that will enhance their lives and shape their futures.